Keep in mind that despite this positive, yet complicated, research about zinc supplements for acne, not everyone who breaks out will respond favourably. 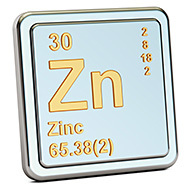 It’s also been theorised that zinc reduces signs of acne because of its potent antioxidant and calming ability on skin. Acne is an inflammatory disorder, so anything you can apply to minimise inflammation is a good thing. At the very least, topical zinc might minimise acne-related redness.